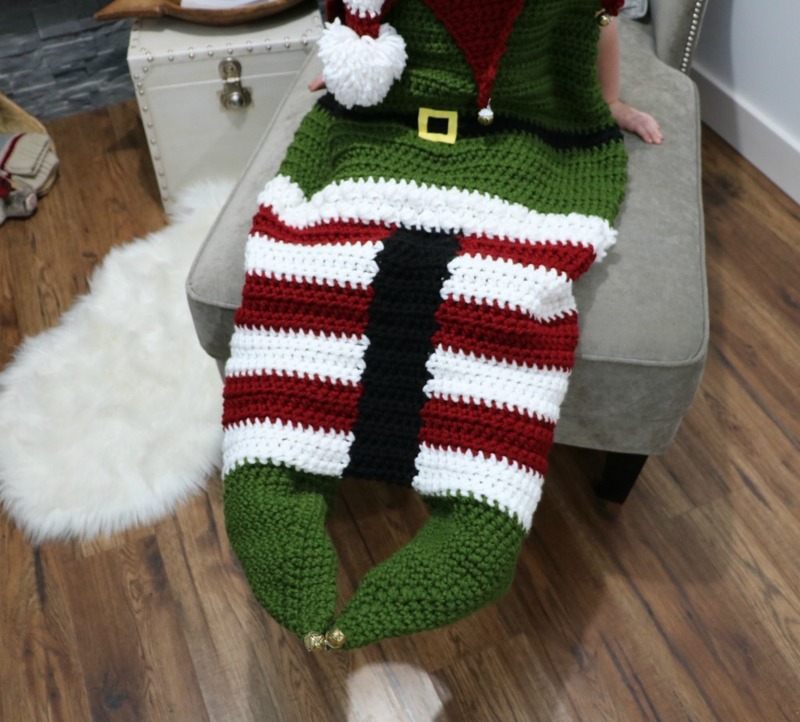 Our newest blanket design is sure to get you into the Christmas Spirit! 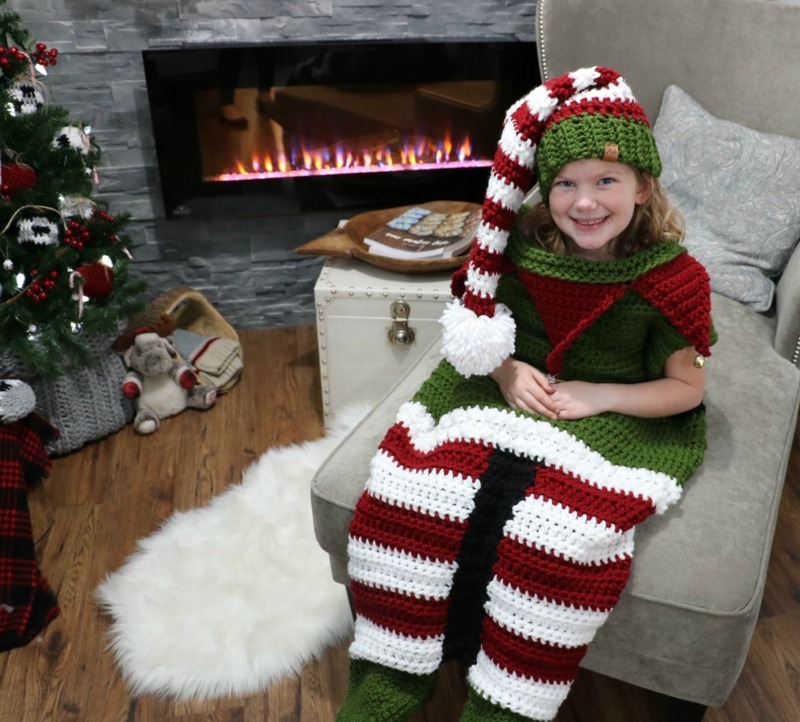 I had so much fun making the Christmas Elf Cocoon Blanket & Hat set. 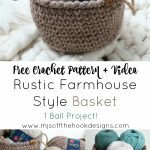 It’s been a hit with my family so I hope yours will love it too! 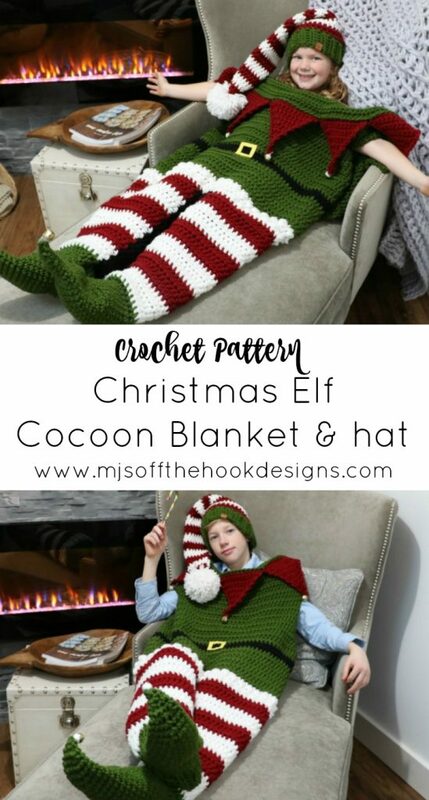 This crochet Elf blanket pattern has a lot of fun details that I haven’t used yet in any of my other blanket designs! 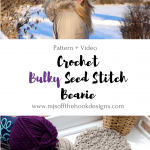 Slits for arms allow for easy movement and snacking. Definitely a must while watching Christmas movies. 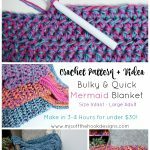 For the Elf Blanket Cocoon crochet pattern I’ve used 1 strand of Bernat Softee Chunky with a 10mm Crochet hook. 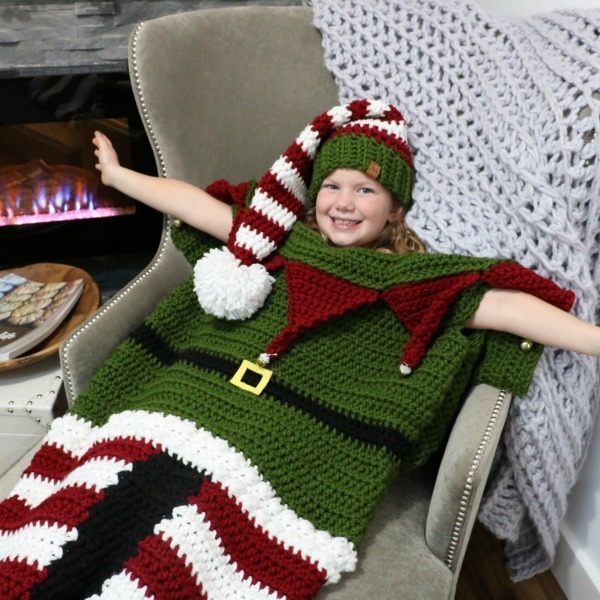 So are you convinced you need to make this ELF Blanket?? 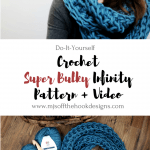 You NEED to!! 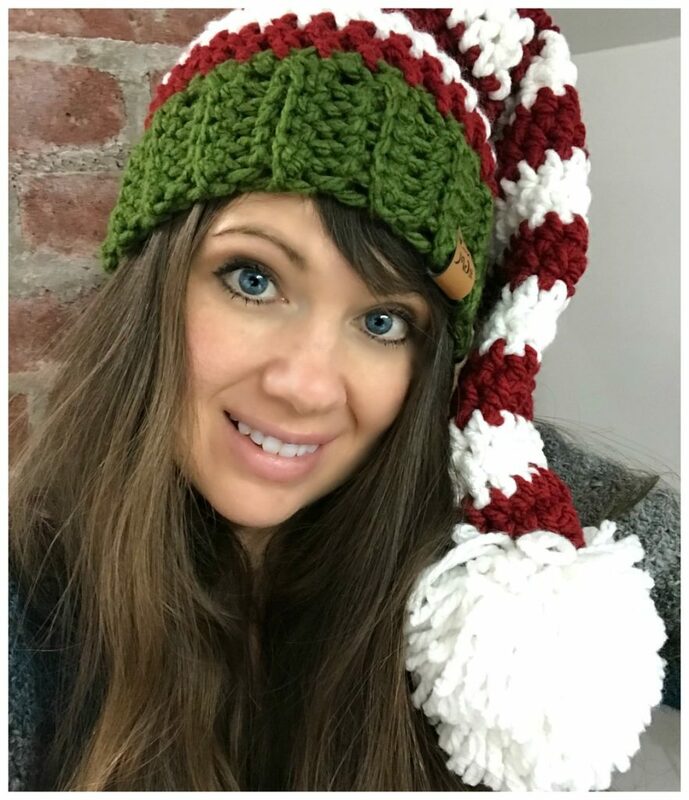 And send me all your fun and crazy Elf Pictures! 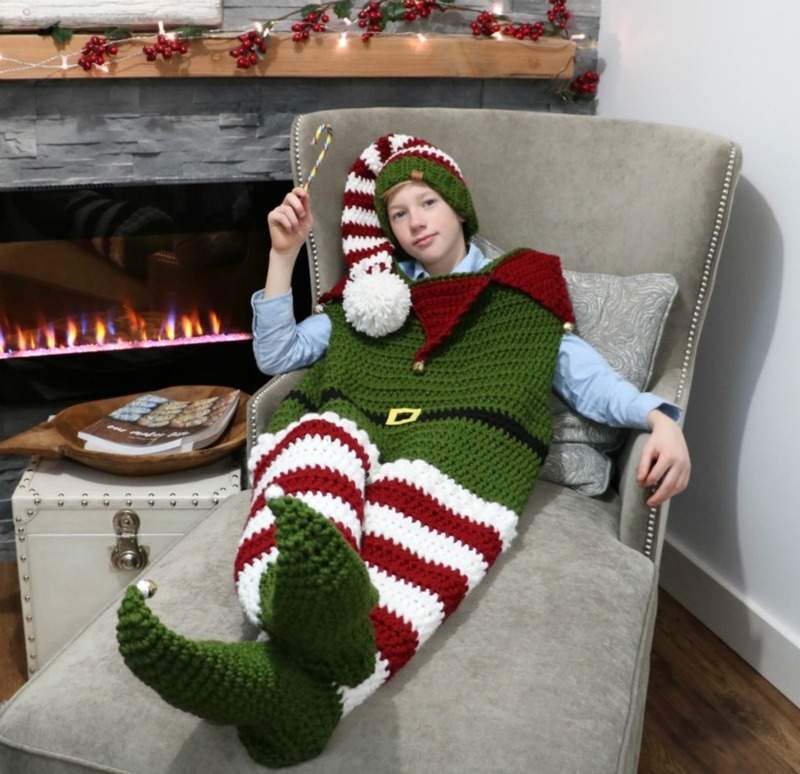 We’re all dying to get into this Blanket and watch our Favourite Christmas Movie ELF! Do you LOVE this movie too?? 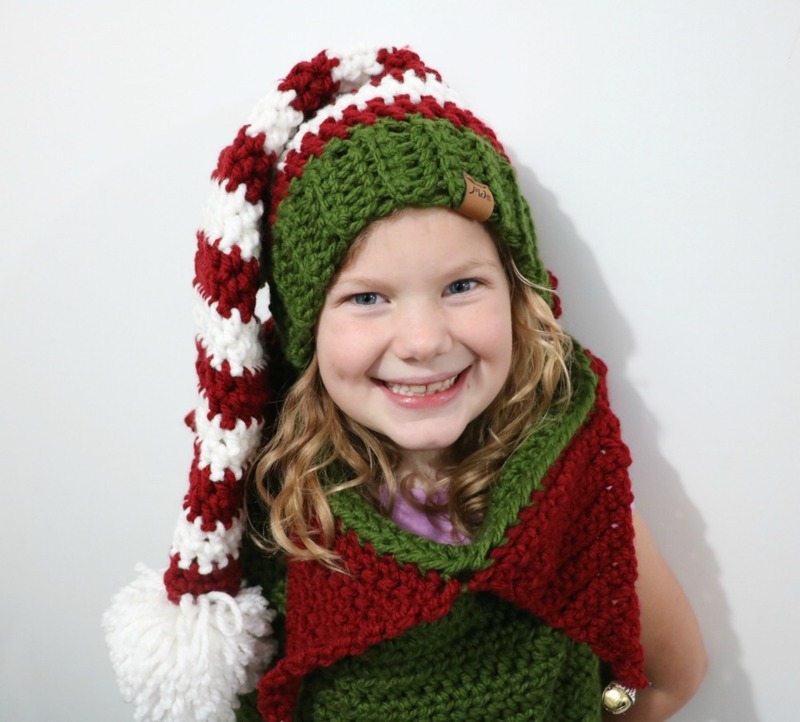 Watch these FREE videos on our YouTube Channel to help you complete The Elf Blanket Cocoon & Hat! 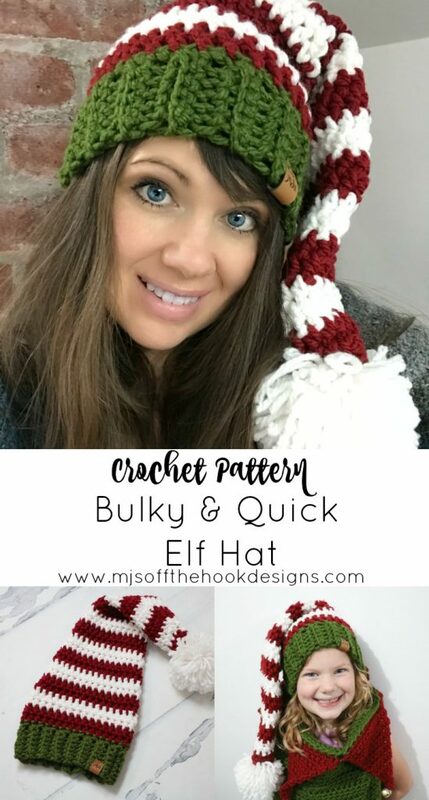 Bulky Puff stitch for the Elf Trim.